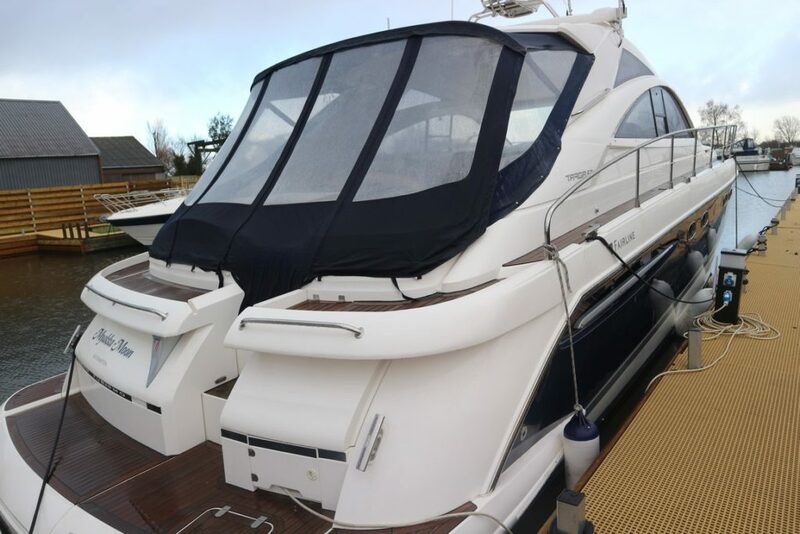 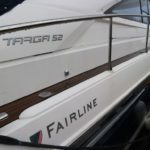 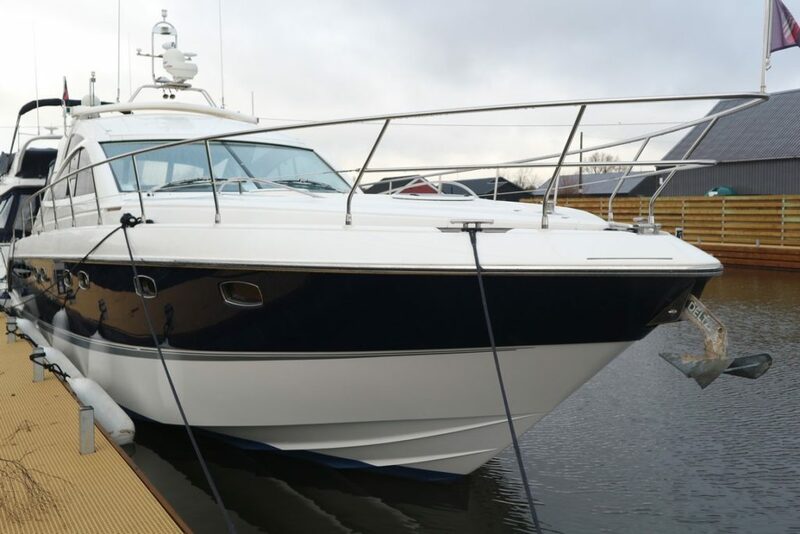 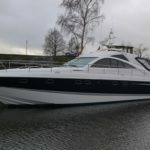 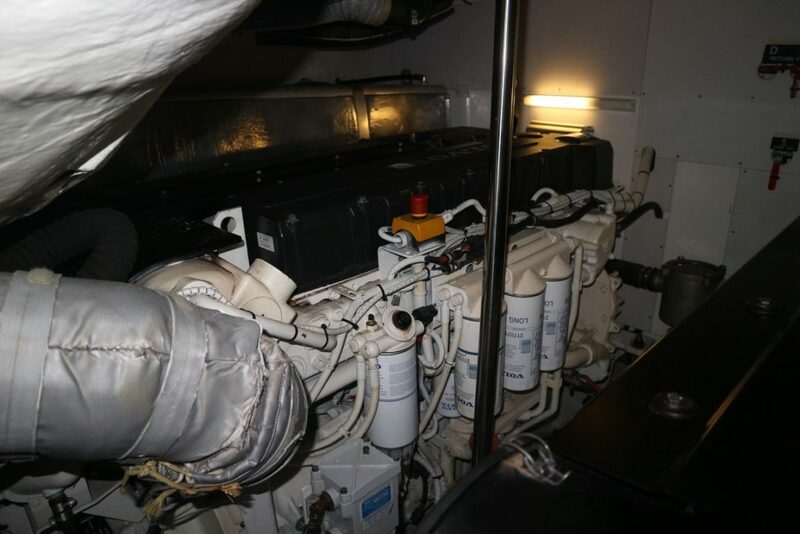 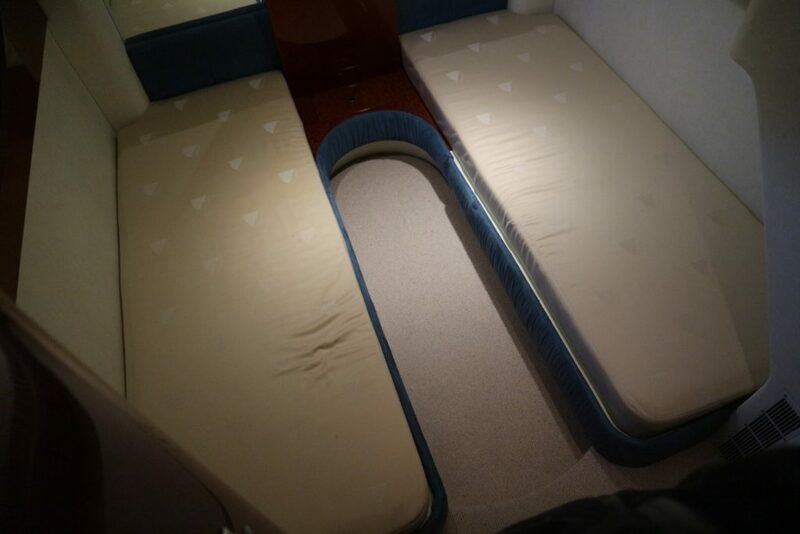 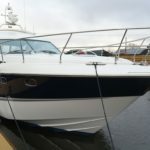 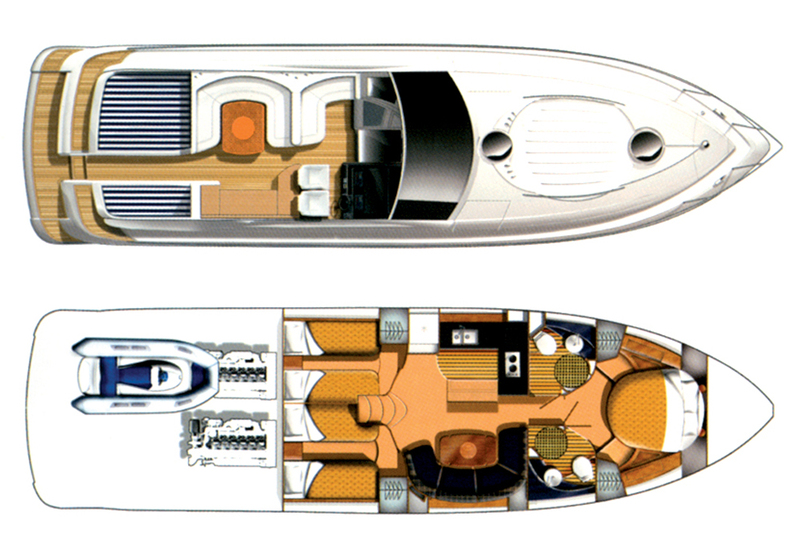 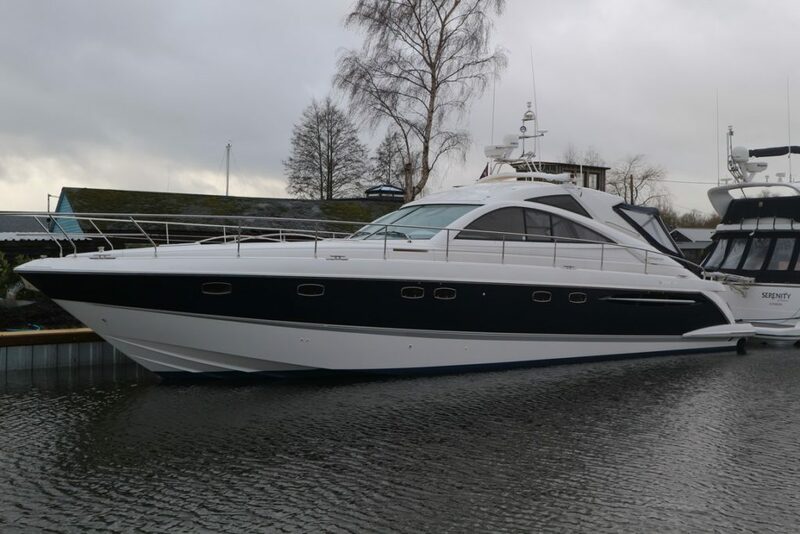 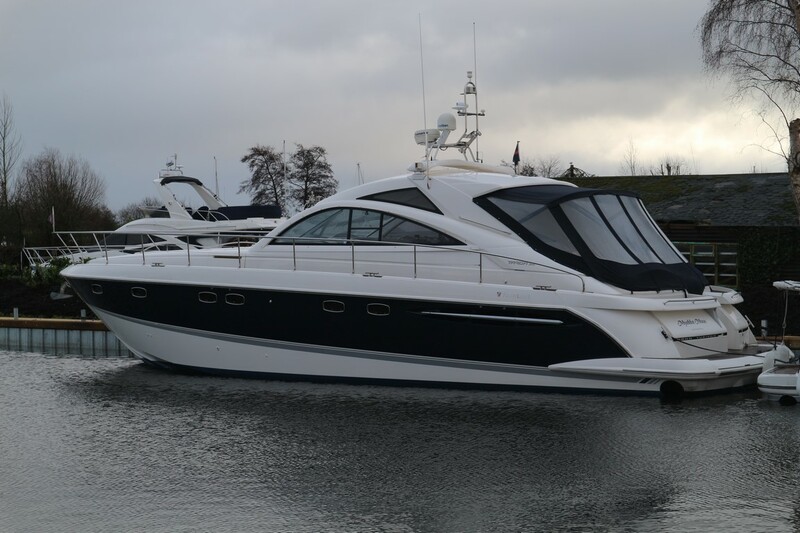 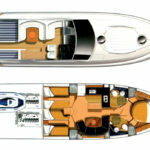 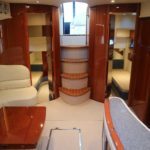 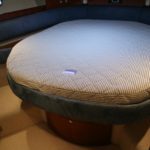 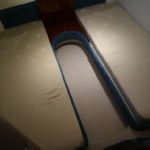 LOA (Metres/Feet): 15.98m / 52' 5"
Draft (Metres/Feet): 01.10m / 3' 7"
Beam (Metres/Feet): 04.27m / 14' 0"
FAIRLINE TARGA 52 – 2005 – Powered by twin Volvo D12 715hp diesels. 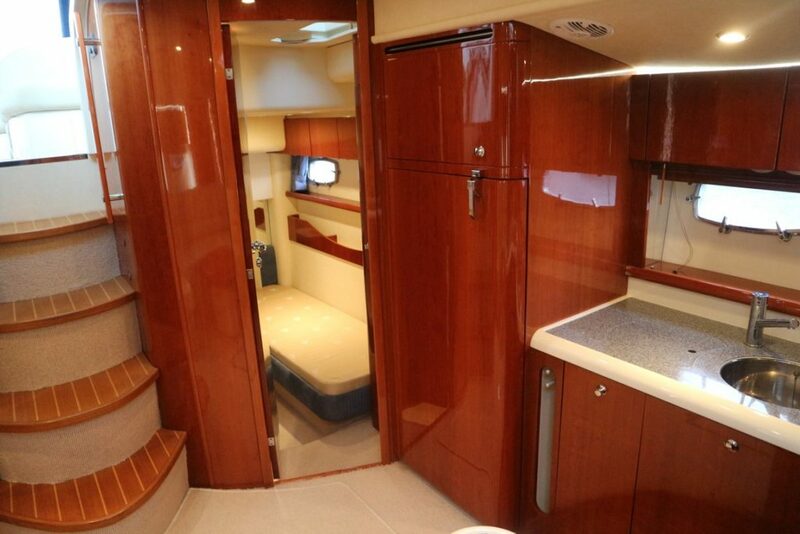 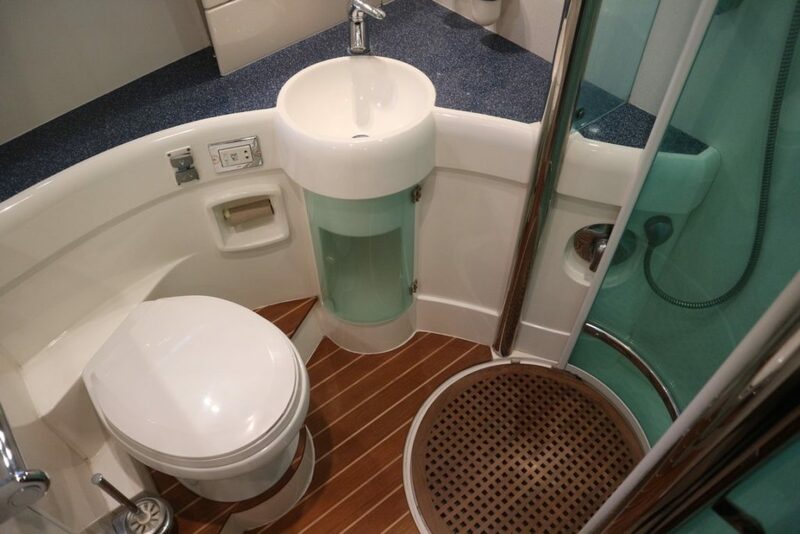 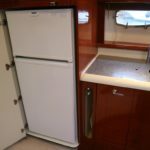 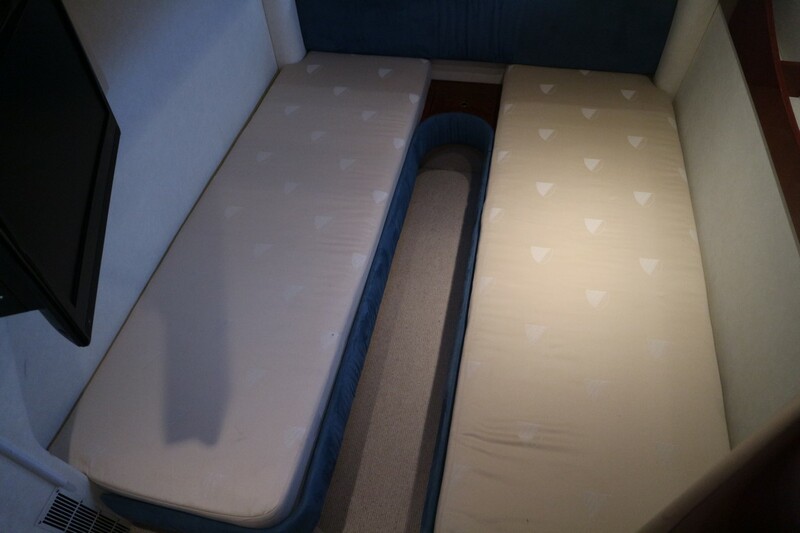 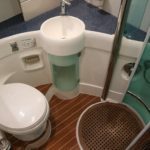 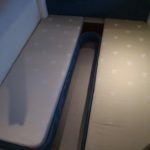 6 berth accommodation across 3 cabins with two toilets and two showers. 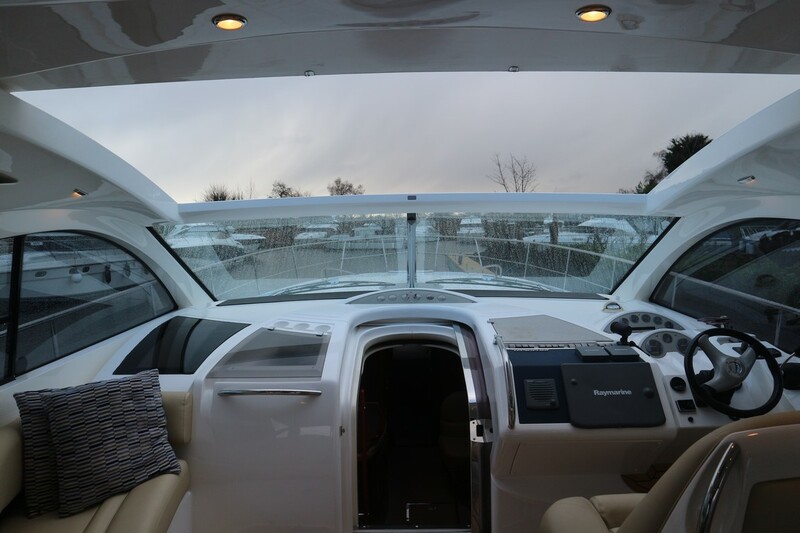 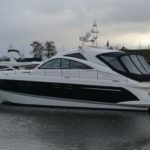 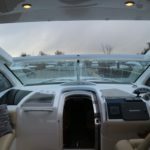 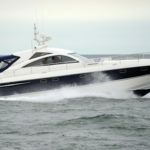 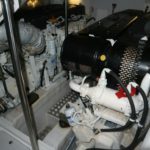 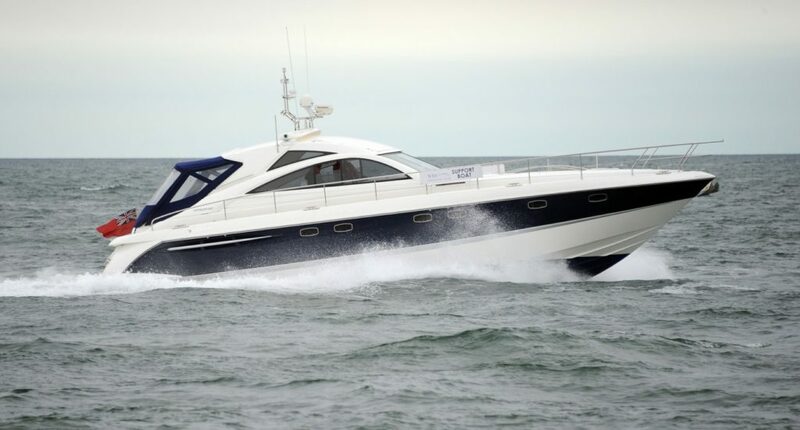 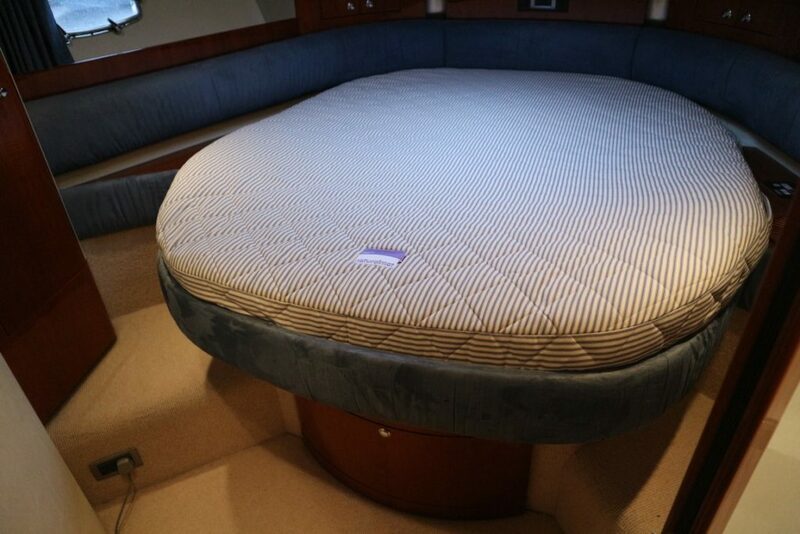 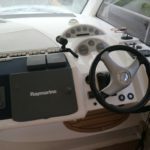 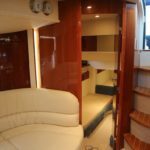 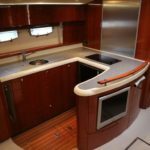 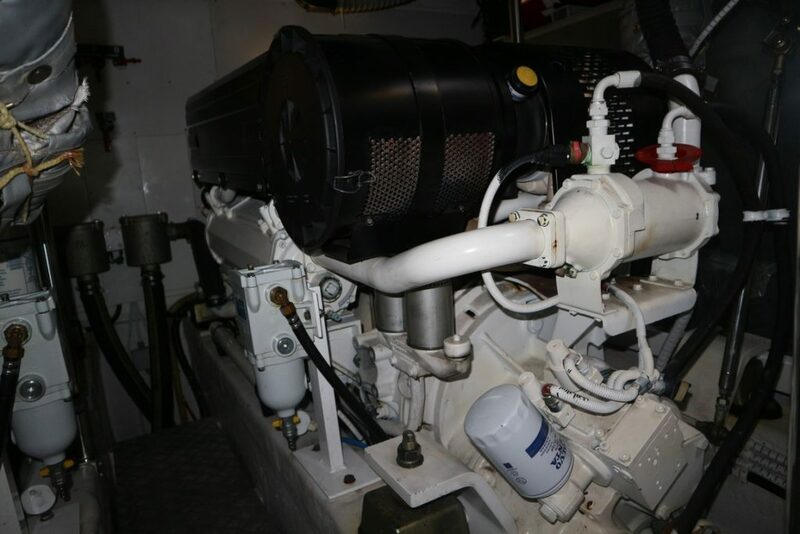 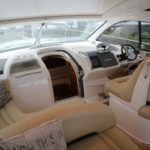 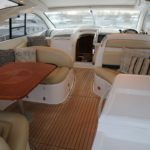 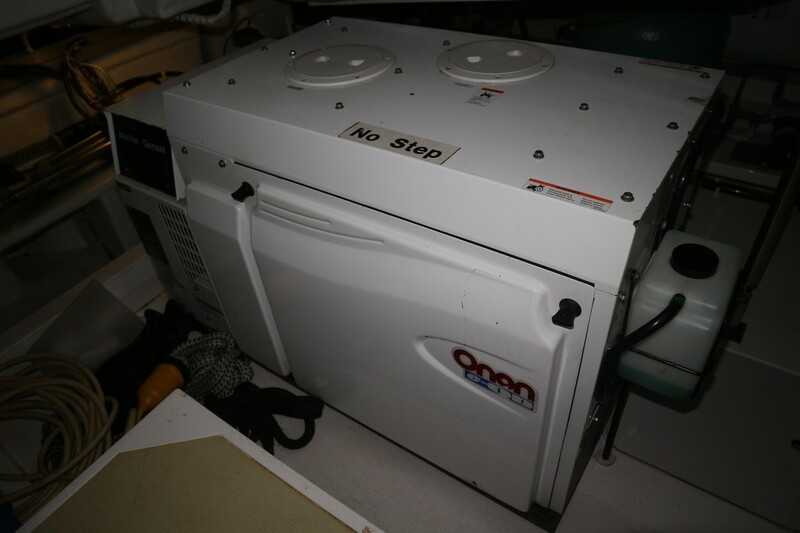 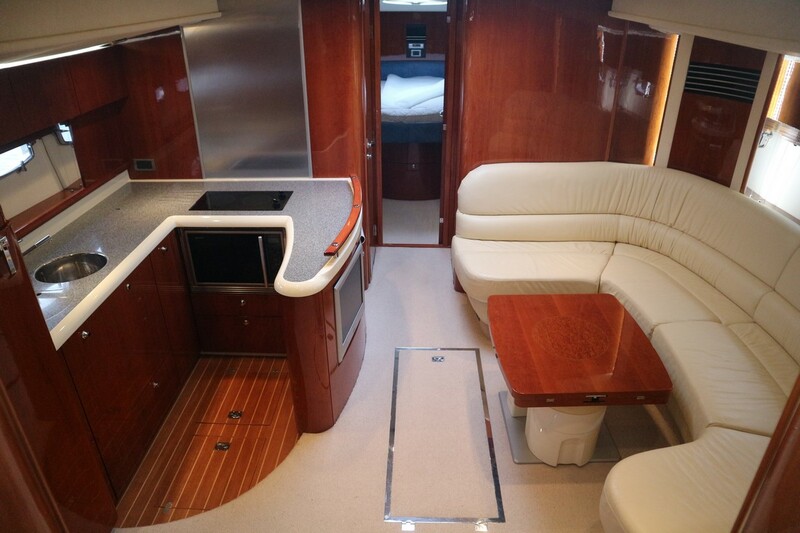 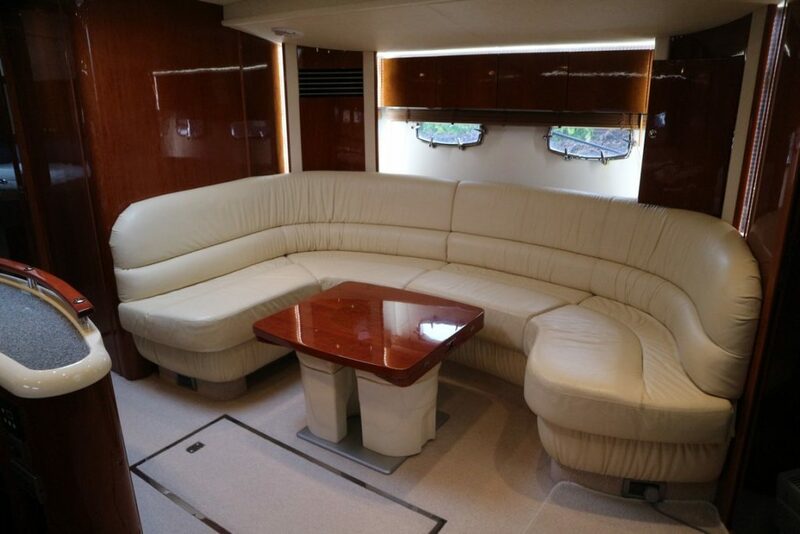 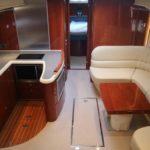 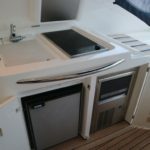 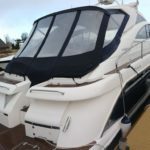 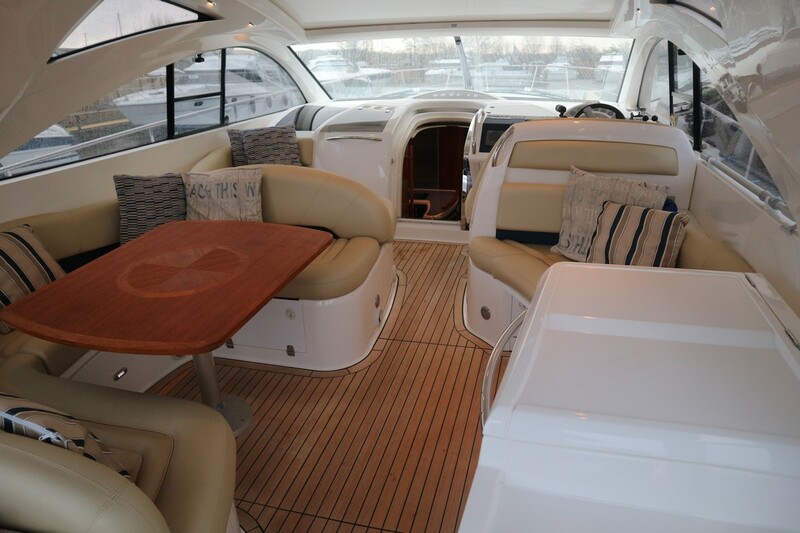 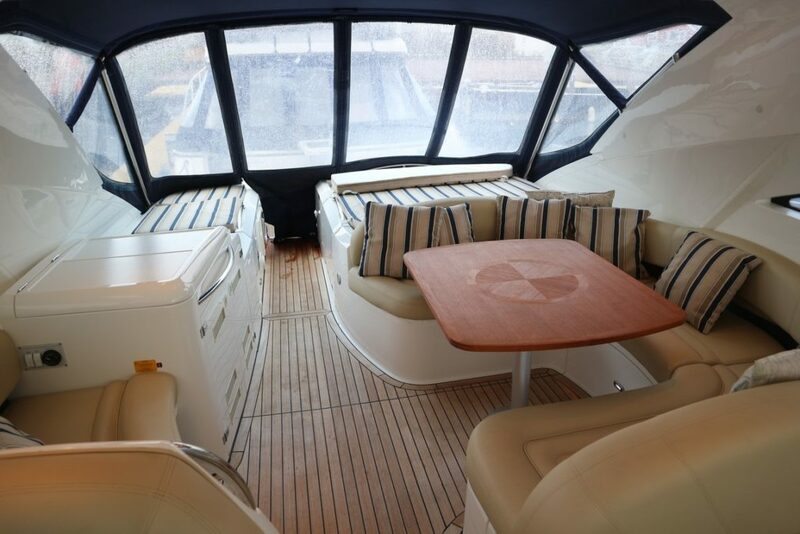 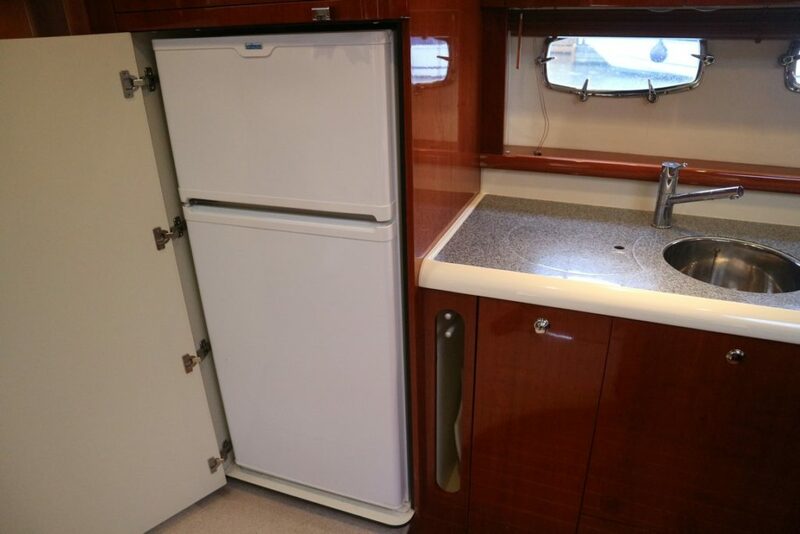 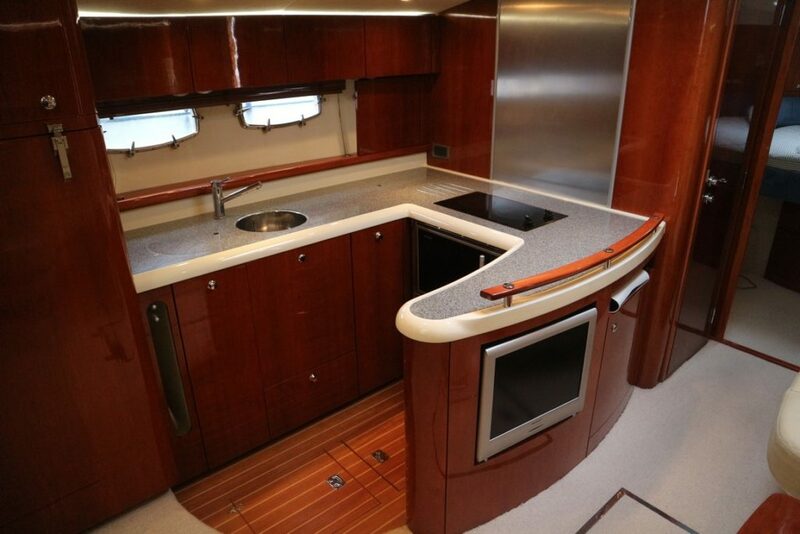 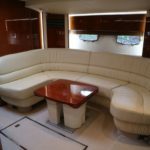 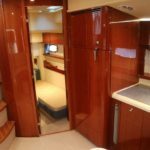 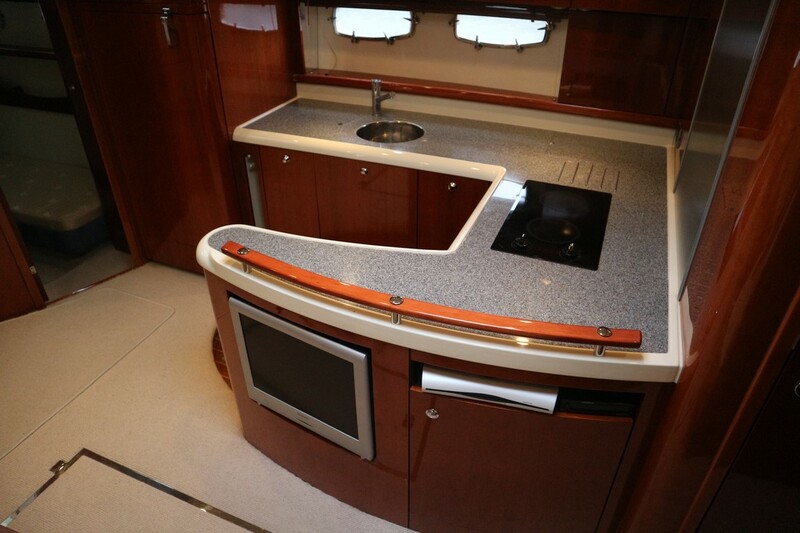 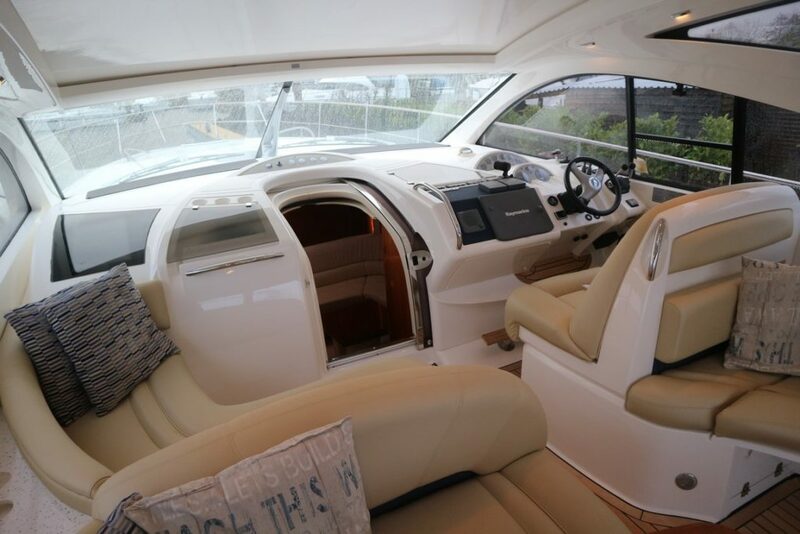 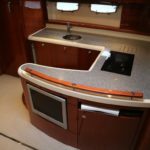 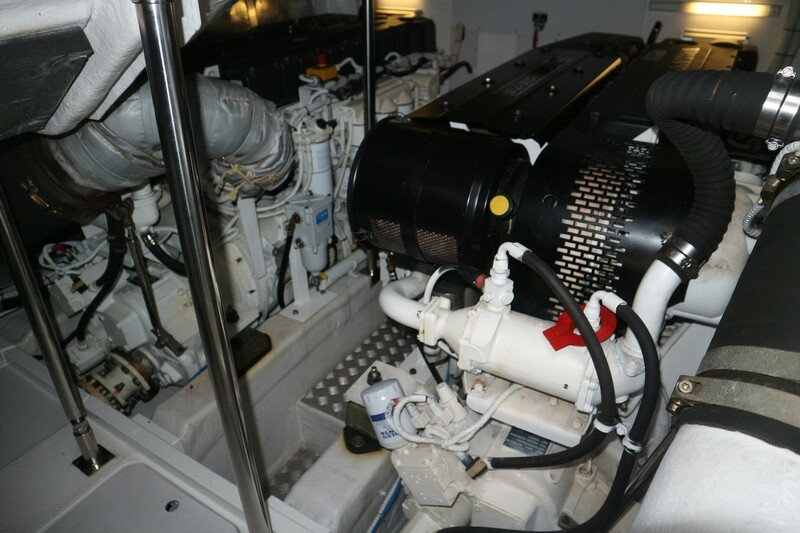 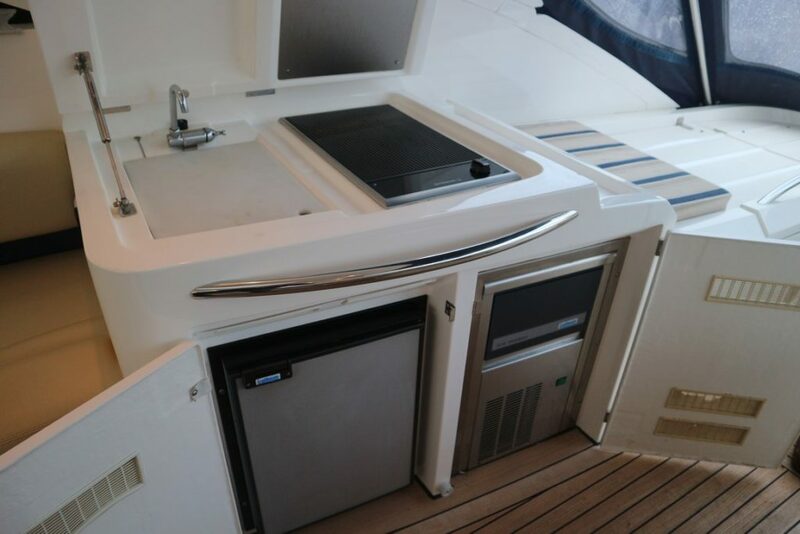 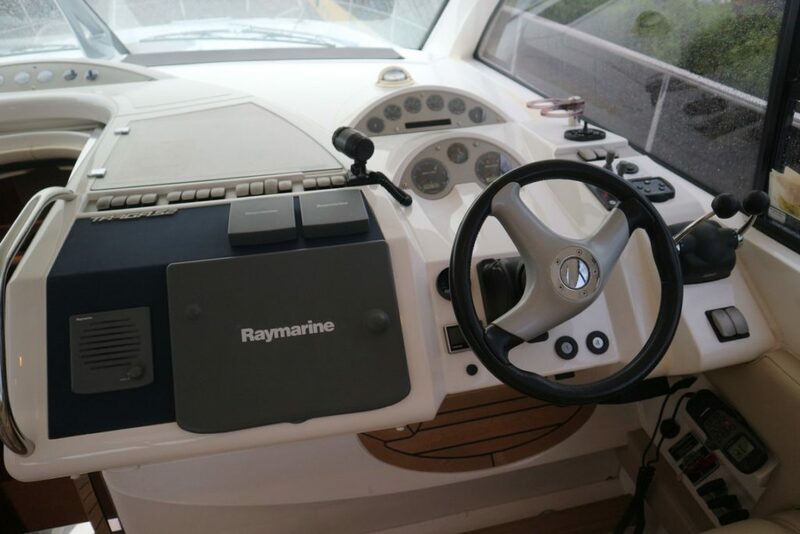 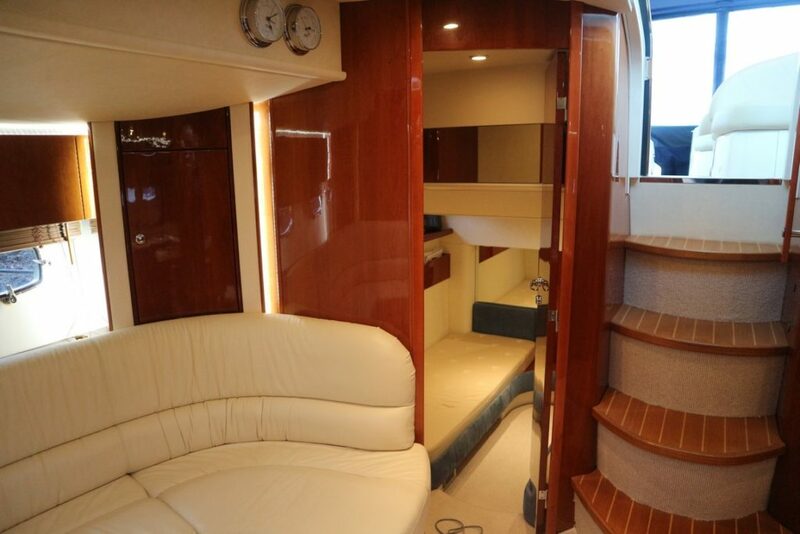 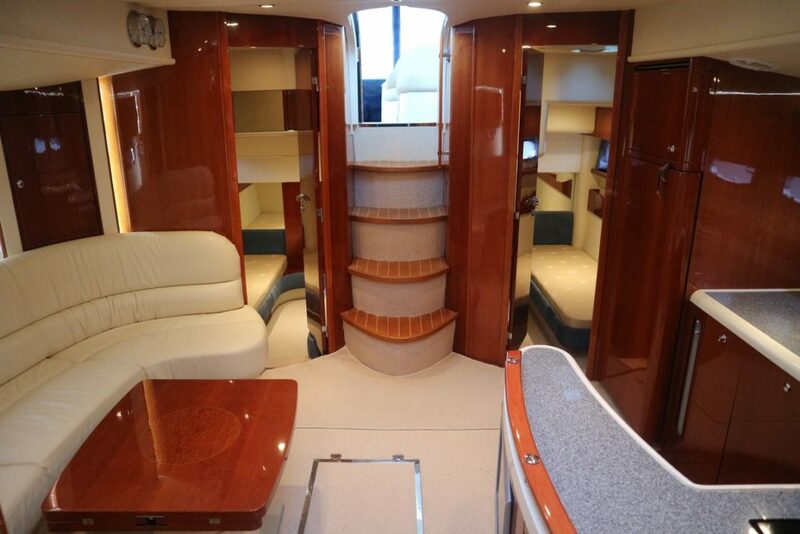 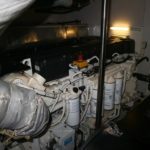 Very well specified to include; bow and stern thrusters, air conditioning, generator, warm air heating to cockpit, full Raymarine navigation equipment, wet bar with griddle and ice maker and much more! 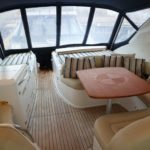 Full teak laid decks and cockpit with electric sliding cockpit roof! 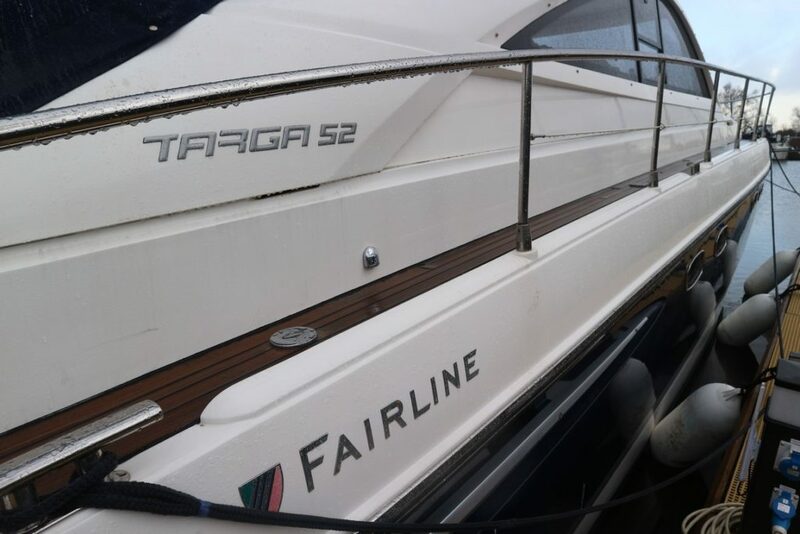 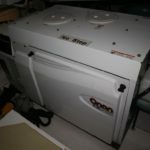 A very nice example, clearly very well kept by her previous owners! 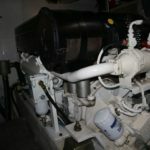 NYA Stock to be fully prepared by our Service Centre with 3 month major mechanical failure warranty on the engines and gearboxes.